New Jersey, September 25, 2017—Tyent USA , the #1 selling water ionizer on the market, which creates hydrogen-rich, alkaline water, has joined forces with fitness powerhouse and professional health coach, Allison Tibbs who is also a Beach Body Team Coach. , in their latest brand partnerships as part of its national Fall PR campaign “From the Inside Out.” Tyent Water ionizers is one of the only water ionizers to produce both hydrogen rich and alkaline water. "I generally don't drink enough water which is crazy to think as a fitness trainer. But, lately I've been using Tyent Water in my Shake O smoothies with my Beach Body routines and I'm finding that it makes a substantial difference in my energy levels. I'm really digging how much cleaner it makes the shakes feel. Love this feeling and definitely can't wait to take up my water intake a notch with a detox cleanse," states Tibbs. The Fitness Model and professional brand ambassador also worked with major brands such as Under Armour and has been featured for her expertise in fitness in national publications such as Prevention, Women’s Health, and many others. 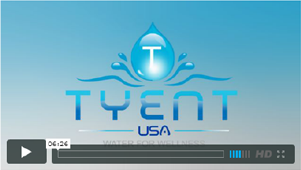 “At Tyent USA we really focus on proper hydration as a way of life. The 21-day cleanse is something that we are really looking forward to sharing with our clients and those interested in using our hydrogen-rich alkaline water ionizers as a party of healthy weight loss and an energy boost. Allison is a great example of someone that has taken control of her health from the inside out.” said Joe Boccuti President of Tyent USA. To launch the new collaboration, Allison and Tyent USA will partake in a 21-day detox cleanse using Tyent’s hydrogen-rich alkaline water in addition to specialized workout regimens. 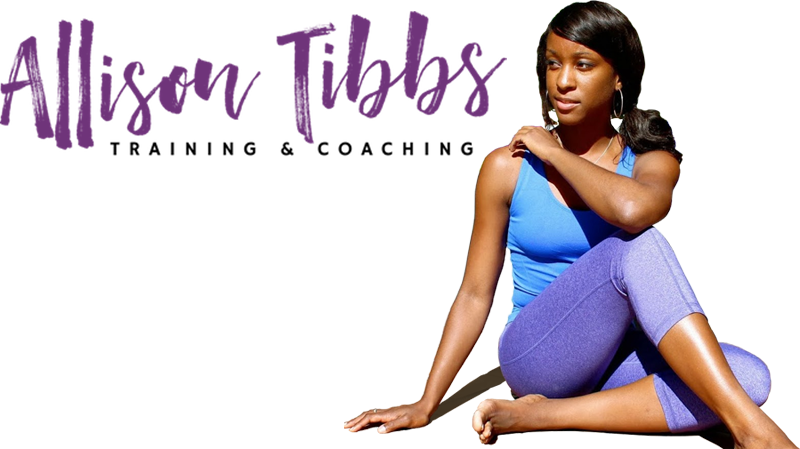 The latest detox cleanse can be followed on Tyent’s blog https://blog.tyentusa.com/2017/09/12/allison-tibbs-personal-fitness-trainer/ and will also follow Allison’s journey on both her social media and Tyent’s social media channels which will concentrate on the heart of what it takes to achieve healthy lifestyle behaviors. On October 7th Allison and Tyent will Co-Sponsor an event in Chicago coinciding with her participation in the Chicago Marathon Allison will host an Abs & Booty Bootcamp from 12pm-2pm located at 410 South Michigan Avenue Studio 632 Chicago, IL 60605. Cost is only $20 to attend. Sign up by visiting the hyper link above. 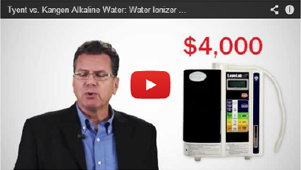 Tyent USA is the #1 hydrogen rich, alkaline water ionizer on the market. 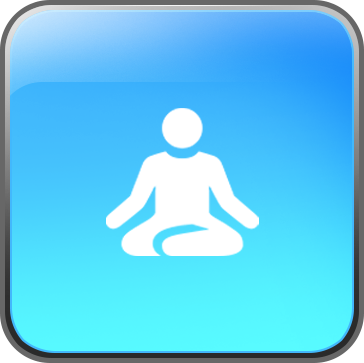 Founded in 2007, Tyent USA is on a mission to provide complete wellness for people witnessing the amazing health benefits and results of hydrogen-rich, alkaline water. The goal of Tyent USA is to become the best water ionizer for unique water sources throughout the USA. Tyent USA’s team of engineers created the first custom-built water ionizer—modified specifically for the unique source waters throughout America. Tyent Water is making a big splash among celebrities, pro athletes, Olympians, and medical providers to name a few. 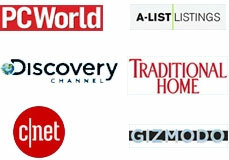 Tyent has been featured on The Discovery Channel, Gizmodo, CNET, and Fox. Tyent USA also has an A+ rating with the BBB, and five-star rating with Amazon. For more information visit www.TyentUSA.com. Allison is a former Marketing Executive turned Certified Personal Trainer, Healthy Lifestyle Coach, Beach Body Trainer, Author, and International Speaker who has worked with renown speakers such as Les Brown and Jack Canfield. Allison’s focus is to help clients identify their challenges that are keeping them from reaching their health and fitness goals and help them to create a plan of action that will lead to a sustainable healthy lifestyle. New Jersey, September 25, 2017—The top selling hydrogen-rich alkaline water on the market, Tyent USA is now partnering with Celebrity Fitness Expert and host of Healthy Lifestyles With Eraldo, Eraldo Maglara to kick off the national Fall PR campaign “From the Inside Out.” Tyent Water ionizers is one of the only water ionizers to produce both hydrogen rich and alkaline water. “We all know the importance of drinking water, specifically alkaline water. Tyent Water is one of the best ionizing products on the market and I’m so happy to be collaborating with such an industry frontrunner like them,” shares Maglara. Eraldo will work in supporting Tyent USA by bringing awareness to the many health benefits that come with drinking hydrogen water that focus on maximizing ideal healthy lifestyles for people of all fitness levels. To liftoff (no pun intended) the new strategic alliance, Eraldo and Tyent USA will feature various television segments and demonstrations on using the hydrogen water ionizer, share helpful tips for using alkaline water for nutritional purposes, as well as presenting some short videos with results of drinking plenty of Tyent Water on Tyent USA’s social media channels, in addition to include special offers to viewers via the partnership. “Eraldo is certainly an authority in all things fitness and is a natural fit to work with and further establish the Tyent USA brand as an industry leader. We are looking forward to working with Healthy Lifestyles with Eraldo and sharing how our alkaline water works well with his fitness clientele and avid viewers of the show. This is an exciting time to partner with professionals like Eraldo,” expressed Joe Boccuti President of Tyent USA. Boccuti will appear on the show on October 3rd at 11am EST to discuss the new partnership. Eraldo Maglara holds a Bachelor’s Degree in Business, a Personal Fitness Degree from the National Personal Training Institute (NPTI), as well as certification from the National Strength and Conditioning Association (NSCA). Eraldo is the Executive Producer and Host of “Healthy Lifestyle with Eraldo” which airs on WMCN-TV44. As an entrepreneur in the fitness industry, one of the aspects Eraldo truly enjoys about personal training is educating his clients on health and fitness. His goal is to reach out to as many people as he can to help them achieve productive longevity. Eraldo has been quoted by dozens of publications and websites, including Men’s Health, Latin Trends, and Galtime, where he has shared his knowledge of fitness training. He is an on-camera talent for the popular website eHow.com, which receives 100 million visitors a month and is also part of the expert network forLivestrong.com. For more information visit www.healthylifestyleswitheraldo.com and www.tyentusa.com/eraldo. New Jersey, September 25, 2017—Tyent USA , the #1 selling hydrogen water ionizer on the market, has joined forces with food connoisseur and professional wellness expert, Jessica DeLuise. 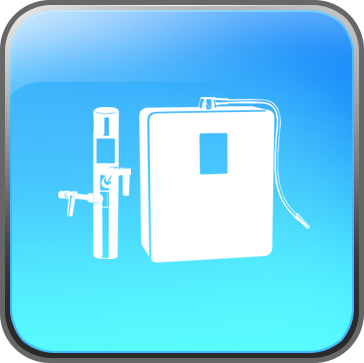 Tyent Water ionizers are one of the only water ionizers to produce both hydrogen rich and alkaline water. Additional suggestions offered for extra uses in recipes include washing and cleaning fruits and vegetables to remove herbicides and pesticides. DeLuise who currently holds a bachelor’s degree in Biology and a master’s degree in Health Science and Physician’s Assistant Studies became focused on the right food intake after a series of health issues that aimed more at medication versus nutritional contributions. She would then implement a complete food transformation centralized on a counterpart to western medicine that required food to not only fuel the body, but heal. “Jessica really impressed us with her scientific background and knowledge of clean eating and foods. 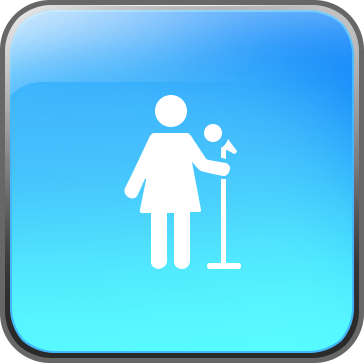 We were inspired by her story given all her health issues and how she overcame them with proper nutrition, dieting, and being mindful of alkaline water intake, and cleaning foods well-before preparation. We will definitely try a few of her recipes here in the Tyent USA offices,” laughed President of Tyent USA, Joe Boccuti. DeLuise is now a contributor with 6ABC Philly in addition to her many other ventures. In celebration of the new launch, Jessica and Tyent USA have prepared a few surprises to include a series of cooking segments and recipes you can try at home, some behind the scenes looks on both Jessica and Tyent’s social media pages, as well as sharing easy wellness tips. 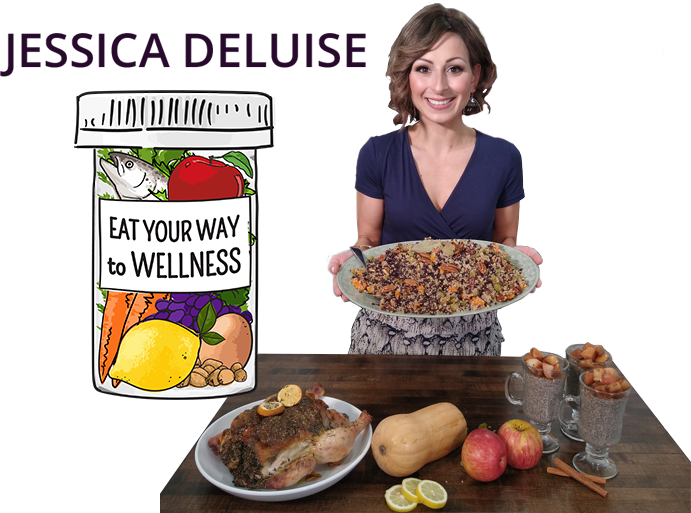 Jessica is a Physician’s Assistant, Food Expert, Author, TV Personality and Host that graduated from Siena College in 2008 with a Bachelor’s degree in Biology. In 2010, she went on to complete a Master’s degree in Health Science and Physician Assistant Studies at Drexel University. Since then, Jessica has been practicing adult inpatient and peri-surgical medicine in a hospital based setting. As a young woman, Jessica's relationship with food over went a complete transformation. Jessica was diagnosed with Polycystic Ovary Disease, Primary Amenorrhea, Gastroesophageal Reflux Disease, Partial Seizures, and Esophageal Ulcers all before the age of 24. At that time, she felt hopeless, sick, and confused. Surprised and frustrated, the treatment plans she was given by her providers focused little on food intake and strongly focused on prescription medication therapies. Food, Jessica knows, is the counterpart to Western medicine. One cannot be exclusive to the other when it comes to healing and fueling our bodies. in 2016, Jessica founded Eat Your Way to Wellness, LLC. Jessica and her team help clients learn about how food can affect their bodies, how to navigate the grocery store, and how to easily incorporate health habits into busy schedules. Beginning in September of 2017, Jessica has teamed up with 6ABC Philadelphia to provide a Weekly Wellness Tip. For more information visit www.jessicadeluise.com. 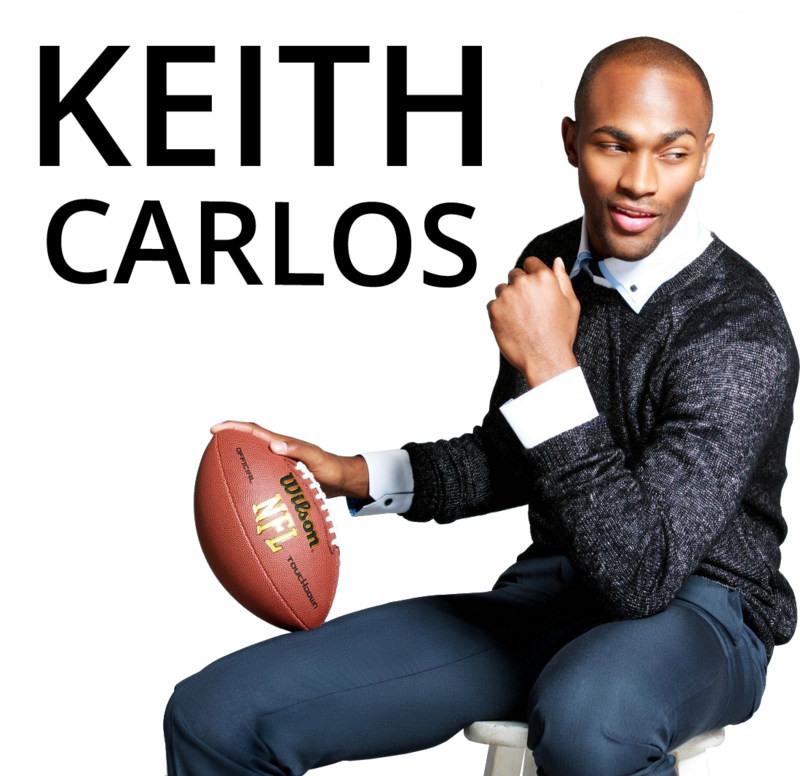 New Jersey, September 25, 2017—Tyent USA synonymous with the top selling hydrogen water ionizer on the market, has selected Keith Carlos, former NFL player turned model in their latest brand partnerships as part of its Fall national PR campaign “From the Inside Out.” Tyent Water ionizers is one of the only water ionizers to produce both hydrogen rich and alkaline water. Inspired by both physical fitness and healthy lifestyles, because of his busy schedule, he makes staying properly hydrated a priority to maintain his statuesque physique. 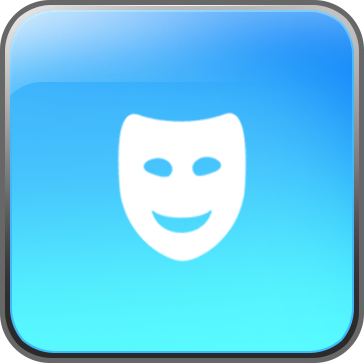 “I think the system is worth the investment and process, specifically for the benefits. Like the extra energy boost and keeps my skin clean with an extra glow," said the Super Model and fitness enthusiast. Keith is also much more than a supermodel. He has been recognized for his philanthropic works with under privileged while also raising awareness for causes supporting women's equality and breast cancer prevention. “I was really impressed with his social consciousness and how he manages to stay so fit with such a busy schedule,” says Marketing Director, Lisa Boccuti. To kick off this new brand chapter together, Keith and Tyent USA created some fun-loving behind the scenes video preparation for national campaigns as well as unveiling Tyent USA’s social media channels, which capture’s Keith’s outgoing personality. Not your typical supermodel, Keith is a naturally laid-back and casual person who wants to take you behind the scenes of what it takes to make a supermodel shine and how staying energized with alkaline water like Tyent, is essential. To contact Keith Carlos for media opportunities, please contact Sheria Rowe at sheria@droweenterprise.com. Keith attended Purdue University and excelled in academia and extracurricular activities. Being a leader on campus, Keith was on the university football team and a member of Kappa Alpha Psi Fraternity, Incorporated. After an impressive year at Purdue, he signed to the NFL as an undrafted free agent. Keith played for the Philadelphia Eagles and the New York Giants. Following his NFL career, Keith found his new career on International Supermodel Tyra Banks hit show, “America’s Next Top Model”, Cycle 21. The show provided Keith with national and international exposure and increased his fan base. Following his win on the show, Keith landed a plethora amount of deals with modeling agencies and partnerships. 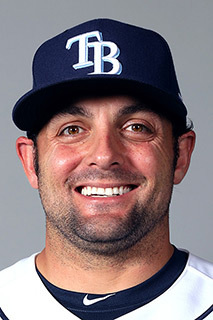 In addition to his acting career, Keith is breaking out into the television and film industry. Keith is also a mentor and philanthropist and is using his platform to raise awareness for causes supporting women’s equality, breast cancer prevention, and underprivileged youth. For more information about Keith, visit his website at www.Keith-Carlos.com and www.tyentusa.com/keith-carlos. New Jersey, September 25, 2017—Tyent USA , Top selling hydrogen water ionizer on the market, has partnered with former NFL Free Agent turned Sports Performance Coach and NFL Trainer of, Ignition Sports Performance, Cliff “Shaud” Brown , in their latest brand partnerships as part of its national Fall PR campaign “From the Inside Out.” Tyent Water ionizers is one of the only water ionizers to produce both hydrogen rich and alkaline water. 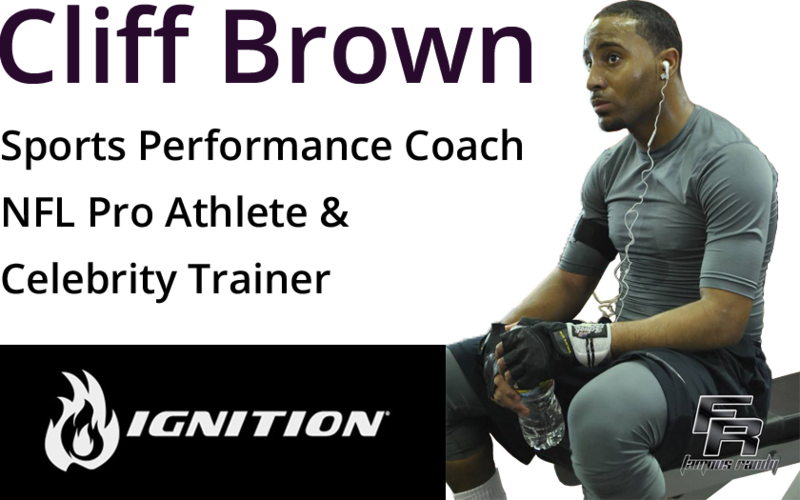 Brown who serves as Director of NFL Combine and Recruiting as well as Sports Performance Specialist and member of the Strength and Conditioning team for NFL’s Cincinnati Bengals as team leader with Ignition APG is responsible for the overall fitness and well-being of his athletes from a healthy eating regime to core strength and total fitness plan that is focused on designing, implementing and monitoring an athlete’s optimal sports performance. As if he isn’t busy enough, Brown will soon launch Process Over Product, a sports lifestyle consultancy firm for athletes and celebrities. “Seeing the improvements in an athlete’s performance is a great feeling. A lot of what athletes go through daily are mental. I tell them to start by clearing their mind and staying hydrated with lots of water, but not just any water, healthy water like Tyent’s hydrogen-rich water. I also highly recommend eating clean fruits and vegetables as well,” states Brown. Brown is enthusiastic about working with Tyent USA because he believes it will help with his current training for his professional athletes, top collegiate players, and celebrity clientele using Tyent Water to boost energy, encourage proper hydration and stimulate better memory and concentration levels which are essential for competitive sports performance, and speeds up recovery from extensive training. “Cliff definitely will fit in with our core athletic family here at Tyent with the likes of Tom House, and Rashad Evans. To get that rare behind the scenes look at how athletes train to perform at maximum impact is a great indicator of how staying well-hydrated plays a big part. 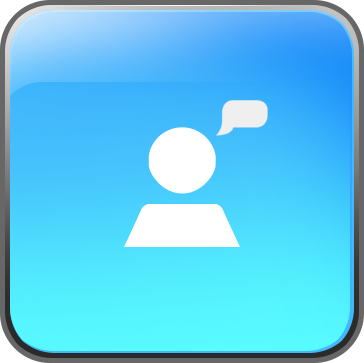 Our team is excited to have Cliff as one of our new partners,” said Joe Boccuti President of Tyent USA. To launch the new collaboration, Cliff and Tyent USA will introduce a look at how Cliff uses Tyent Water with his clients in their workout regimens and use in sports performance as well as debuting on Tyent USA’s social media channels which will center on the essence of what it takes to stay a high performing competitive athlete. Cliff known to family and friends as “Shaud” attended Marian University in Indianapolis where he graduated with a degree in Sports Performance and was an All-American Kick Return Specialist with the 2012 NAIA National Champion football team. Upon graduation, the NFL free agent took a few shots at the “Big League” having a few work outs for professional teams before settling and excelling in successfully helping friends and teammates excel through his workout preparations. He would land an opportunity with Ignition as a Sports Performance Coach working with many professional athletes he has admired by helping them get and stay in shape for the season. In 2017, he plans to launch Process Over Product, a sports lifestyle consultancy firm for professional athletes. For more information visit www.processoverproduct.com or www.tyentusa.com/cliff-brown for more information. .
New Jersey, January 25, 2018—Tyent USA , the #1 selling hydrogen water ionizer on the market, is set to participate as a featured sponsor in the upcoming Big Game Experience with former Minnesota Vikings NFL star, Jack Brewer and Brewer Media Group as a part of a week-long Superbowl 52 celebration in a winner take all match up between the 5x Superbowl and defending champions, The New England Patriots and the publicly declared longshots, Philadelphia Eagles beginning January 31st. The events will be an A-list, star studded extravaganza with the hottest celebrity guests and talent performing over the week-long celebration leading up to the big game. The event will kick off with The American Heroes National Launch and Youth Celebration which promotes activity, fitness, and essential life skills and lessons in a friendly flag football game that will teach various football skills. 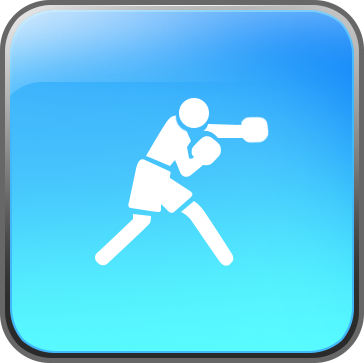 Tyent will be the water sponsor of choice for this youth initiative that promotes healthy lifestyles and fitness at an early age. 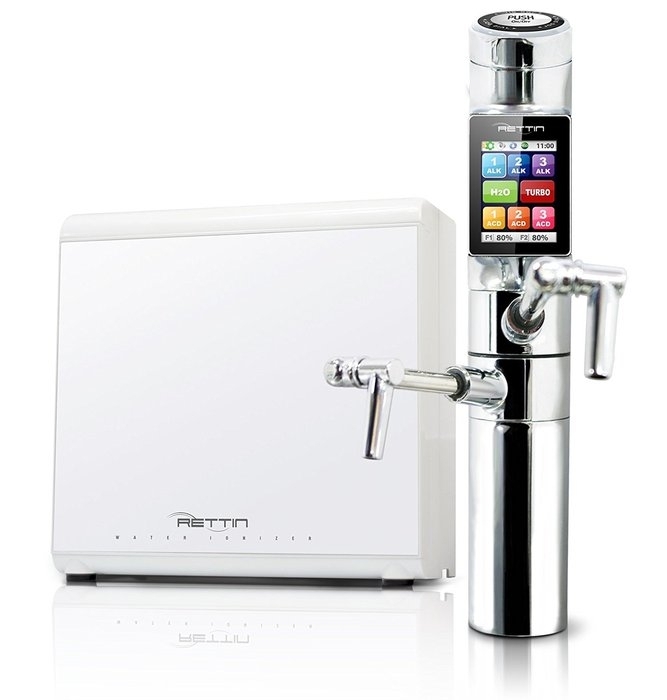 Tyent, is the only water ionizer on the market that produces both alkaline and hydrogen water using the same unit. 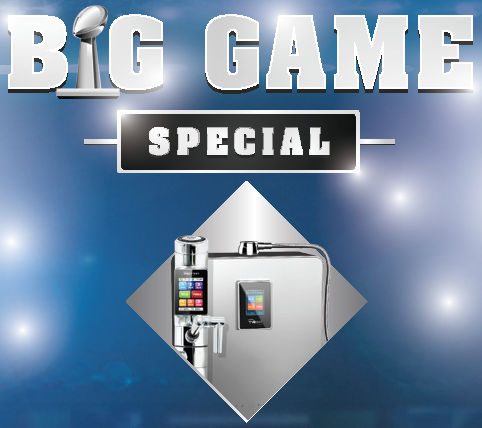 Superbowl 52, Tyent will introduce a new suite of products to include their patented, H2 Cap, which is a revolutionary Travel-Sized Hydrogen Water Generator that makes healthy hydrogen water on-the-go. 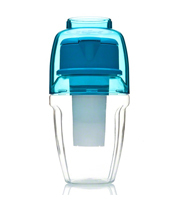 Additionally trademarked premium brands such as the ACE-11 (Above Counter Extreme) and UCE-11 (Under Counter Extreme) water ionizers, newer brands such that will launch soon among other travel and lifestyle products like their signature TYgo Travel Alkalizer, a best travel companion for convenient alkaline water consumption. The entire suite of products is part of an expansion into the complete health and wellness lifestyle that many celebrities, athletes, and health conscience communities have come to enjoy by looking at testimonials found on Tyent’s website. 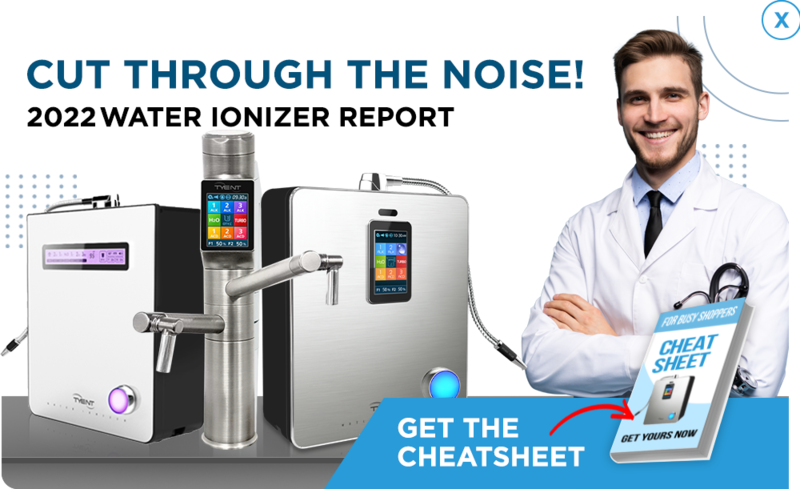 Tyent USA is the #1 hydrogen rich, alkaline water ionizer on the market. Founded in 2007, Tyent is on a mission to provide complete wellness for people witnessing the amazing health benefits and results of alkaline water. 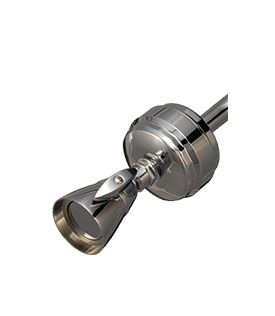 The goal of Tyent USA is to become the best water ionizer for unique water sources throughout the USA. Tyent USA’s team of engineers created the first custom-built water ionizer—modified specifically for the unique source waters throughout America. Tyent Water is making a big splash among celebrities, pro athletes, Olympians, and medical providers to name a few. Tyent has been featured on The Discovery Channel, Gizmodo, CNET, Fox. Tyent USA also has an A+ rating with the BBB, and five-star rating with Amazon. For more information visit www.Tyent USA.com.